The 2016 commercial real estate market was beneficial for both buyers and sellers alike; and experts agree the 2017 market will be equally prosperous. So if you’ve ever thought about taking your real estate career to the next level through commercial investing, now is the perfect time. With the U.S. unemployment rate dropping below five percent, there has been an increase in demand for housing in a variety of forms (i.e. apartment buildings and multifamily units), for office space, for the retail sector, and for industrial facilities. Because the U.S. economy is making its comeback, commercial investors are increasingly becoming a hot commodity. So how can you stand out as a commercial real estate investor among the competition? By taking advantage of the most effective real estate marketing campaign. The right commercial real estate marketing plan can be the difference between landing the perfect buyer and missing an opportunity. While it is important for your marketing campaign to have a solid foundation, the key to a winning strategy is personalization which will help you in your quest for finding commercial real estate deals. While networking and building relationships is vital to the success of a commercial investor, those qualities are no longer enough to get ahead of the competition. The number one trend reshaping the commercial real estate marketing industry in the digital age is technology. 80 percent of investors, buyers, and tenants conduct their search for commercial real estate online. This means, if your online presence is sub par, you are missing out on a slew of potential leads. Creating a well-designed website is one of the best ways to convert leads into deals and the only way to keep up with other investors. While your website acts as the backbone of your marketing efforts, it is necessary to personalize, customize, and tailor your strategy with every new deal. Selling an apartment complex? Not only should you share the listing advertisement across your social media channels and blog – which should be automatic – you should tailor that listing to highlight the most appealing features of the property. A standard blog or social media post mentioning the basic components of the building will not be enough to get you noticed. You must share the property’s story while appealing to every potential buyers’ emotions. Does the building come fully equipped with floor to ceiling glass windows overlooking a city skyline? Is it centrally located with easy access to highways and shopping centers? Does it have a fascinating history? If so, these are qualities worth promoting over square footage and lease terms. So how can you ensure your website grabs the attention of potential buyers while also converting those leads into actual clients? By keeping these tips in mind. Mobile Optimization. Recent studies show that more and more online users browse the internet from their mobile phones. People spend 37 percent more time on their cellular devices today compared to 5 years ago and are more likely to make buying decisions after browsing a company’s mobile site. What should this mean for a commercial investor? It means he or she should make certain that their desktop website is optimized for mobile use. The last thing you want is for a potential client to search your site from their mobile phone only to be met by a buffering wheel or error message. Social Media. Investors can no longer get away with a personal Facebook page, email address and website. In order to keep up with emerging trends, multiple social media channels are a must. Your business should have at least a Facebook page, Twitter account, and LinkedIn profile. Twitter, Instagram, Google Plus, SnapChat, and Pinterest are additional helpful platforms that will help connect your business with its target audience. These accounts should be updated regularly, link back to your website, and be monitored for customer queries. Social media is a great way to communicate with potential leads on a personal level and can also get the word out about your business on a larger scale. The more followers, the more you will improve your word-of-mouth marketing. Blogging. With technology seemingly taking over the world, more people value the information presented in blog posts over web pages and product descriptions. The primary goal of your blogging website should be to educate potential leads with expert tips and advice. If consumers feel they are receiving information of value – especially when it is free – they will be more likely to want to do business with you. Blogging is a useful tool because posts can be shared across your social media channels, used for email marketing campaigns, and can rank high on Google’s search results therefore expanding your customer reach. Encourage readers to ask questions about topics that confuse them, as long as you can stay committed to responding to each person, and facilitate user discussions. The more comments on a post, the higher Google will rank the page. It can also be helpful to create a subscription option to capture lead names and emails. Take blogging seriously and stay devoted to posting weekly. SEO. SEO stands for search engine optimization. It is an internal process that affects the visibility of a website in a search engine’s unpaid or “organic” results. The way you utilize and employ various SEO techniques will influence whether your site is located on the top of Google’s page one or the bottom of Bing’s page five. SEO strategies, as well as search engine algorithms, are constantly changing, meaning it is important to stay up to date on the most current techniques. Targeting relevant keywords in blog posts and your company’s website will help more potential clients see your business. There are plenty of online resources that can help you identify the best keywords to target. Remember, there is also always the option of paid ads on Google. Market Reports. In addition to blog posts, providing your audience quarterly updated market reports can help to show off your investing expertise. Investors, buyers, sellers, tenants, and potential business partners should view you and your business as innovate thought leaders. Publish information like current vacancy rates, absorption rates, the best up and coming markets and more. 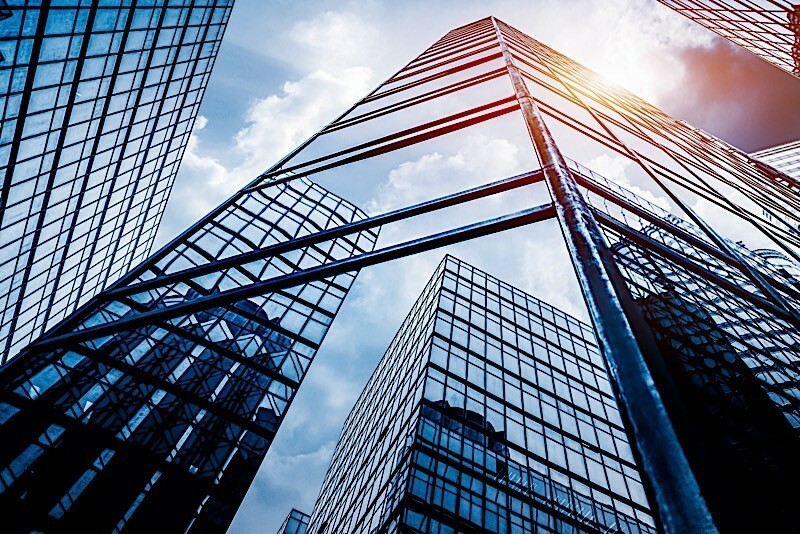 The point of an updated market report should be to prove yourself as the go-to source for all things commercial real estate. Quality Photos. Listings, blog posts, and social media updates with high quality photos and videos are valued much higher than posts without. In fact, listings with high quality photos or a virtual tour option sell for as much as 10 percent more than those without. Lastly, Google ranks content with video higher than content alone. These stats emphasize the importance of using high caliber photos even if the upfront cost is slightly greater. Ready to take a stab at commercial real estate investing? Just be sure your marketing strategies are up to date and optimized for the digital era.